Back in March at Google’s Cloud Next conference, the company announced plans to run its own machine learning startup competition side-by-side with Data Collective and Emergence Capital. 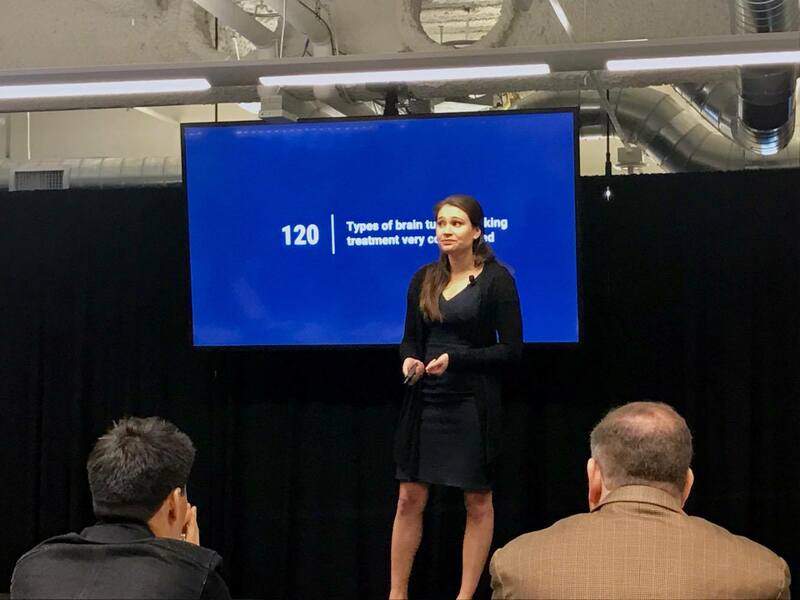 Four months later, 10 startups, pulled from a pool of 350+ applicants, presented onstage at Google’s Launchpad Space in San Francisco. The startups vied for three prizes — a choice each from DCVC and Emergence, as well as a Built with Google award for the top startup utilizing Google’s Cloud Platform. Additionally, Google provided $200k in GCP credits to all finalists. In advance of the competition, both VC firms committed to providing seed capital to their selections and both were involved from the beginning in diligencing applicants. The event is in many ways the physical manifestation of GCP’s strategy to cozy up with machine intelligence startups. Google Cloud still lags behind Amazon and Microsoft in usage and the company is trying to position itself as “friendly” to a class of startups that will surely generate immense amounts of data at scale that needs to be stored somewhere. 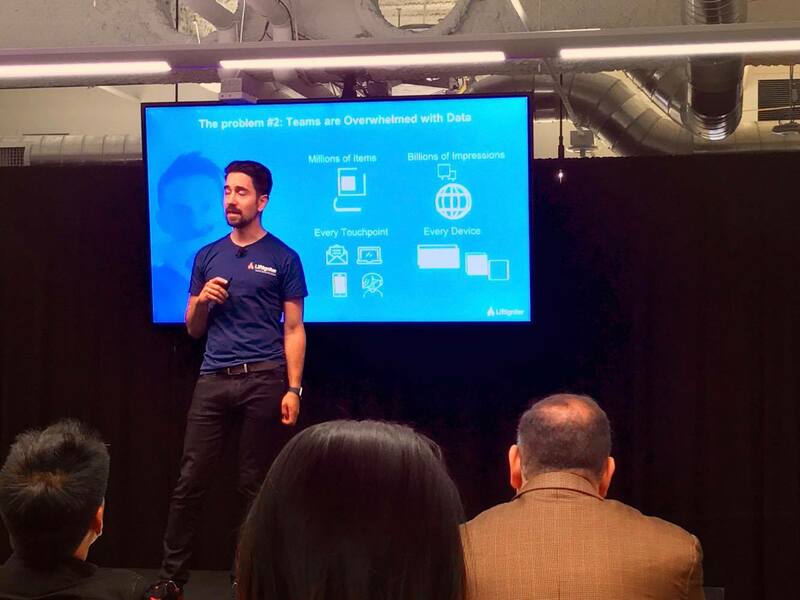 Founders participating in the competition pointed to both Kubernetes and TensorFlow as selling points for GCP — and of course, the free cloud credits don’t hurt. We’ve briefly profiled the winners of each prize below and included a description of their reward. BrainSpec is building its own platform that helps doctors measure brain metabolites using standard MRI equipment. Metabolites are the chemical result of cellular processes and often hold the key to understanding brain injuries, Alzheimer’s and other brain disorders. Doctors can use Magnetic Resonance Spectroscopy, a traditionally complex process, to perform chemical analysis of tissue to detect key indicators of these neurological diseases. BrainSpec is simplifying this technique with a web interface and cloud-based statistical analysis. Matt Ocko, a partner at DCVC, explained his investment by speaking to the sheer market size of the problem BrainSpec is looking to address. The startup brings strong domain expertise to a product with a clear path to productization and regulatory approval. LiftIgniter, a former TC Disrupt Battlefield competitor, wants to help businesses personalize the content they deliver to users. Today, big players like Amazon and Spotify have their own advanced recommendation systems that drive engagement, but many other businesses struggle to deliver the same demanding technology. The team, which had experience building YouTube’s machine learning recommendation system, is productizing its service around an API. The company says it has never lost an A/B test and is seeing strong traction with 1.8 million in ARR and 22 percent month-over-month growth. The team also won an extra $500K in GCP credits as the runner-up for the Built with Google Award. 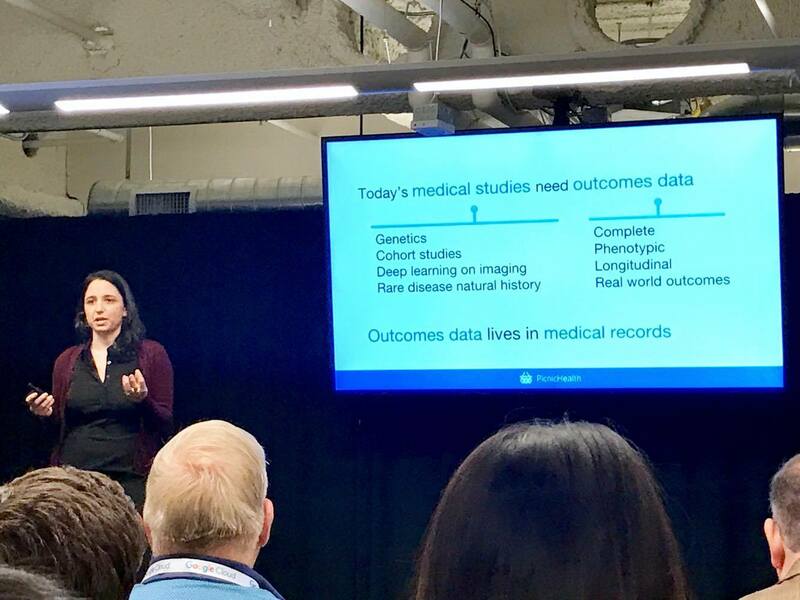 PicnicHealth is layering machine learning on top of its centralized digital medical record system to produce outcomes data for pharmaceutical companies and research groups. The startup combines automated extraction with a team of human nurses to annotate anonymized records. Pharmaceutical companies in particular are willing to pay serious money for data to the extent that PicnicHealth is seeing $5,000 gross margins. Patients using the consumer side of the platform retain control of their data and are in charge of entering their care providers. From there, Picnic automates record collection, analysis and releases.